The most rewarding journey is the one that leads to yourself. What you believe about yourself shapes your narrative. A deep understanding of who you are is crucial to your spirituality and to the flow of your life. It is central to how you function in the world. What is the meaning of your life? Are your choices in tune with the story you are living? Do your beliefs help you achieve your goals or do they stand in your way? Spirituality: A User's Guide is an invitation to grapple with these questions and find peace within yourself. Over the centuries, many spiritual leaders have explored self-understanding, and we must examine the paths they have opened up to us as we seek enlightenment for ourselves. Have they brought about psychological health and awareness or have they left us repeating destructive patterns that threaten both society and our environment? 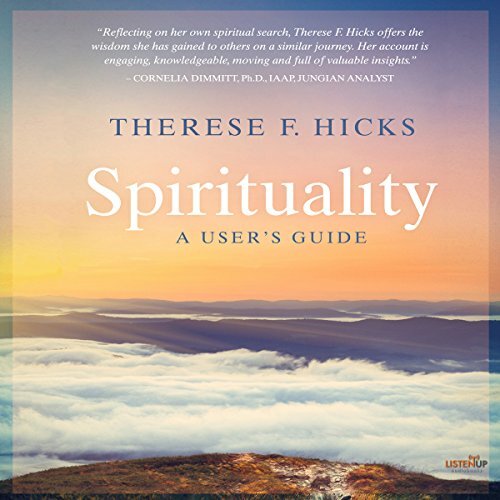 Spirituality: A User's Guide offers practical guidelines on how to identify and pursue a healthy spirituality that nourishes not just the individual but society and the planet as well.